The foot of the Diyaluma Falls is located 1-hour away from Ella. 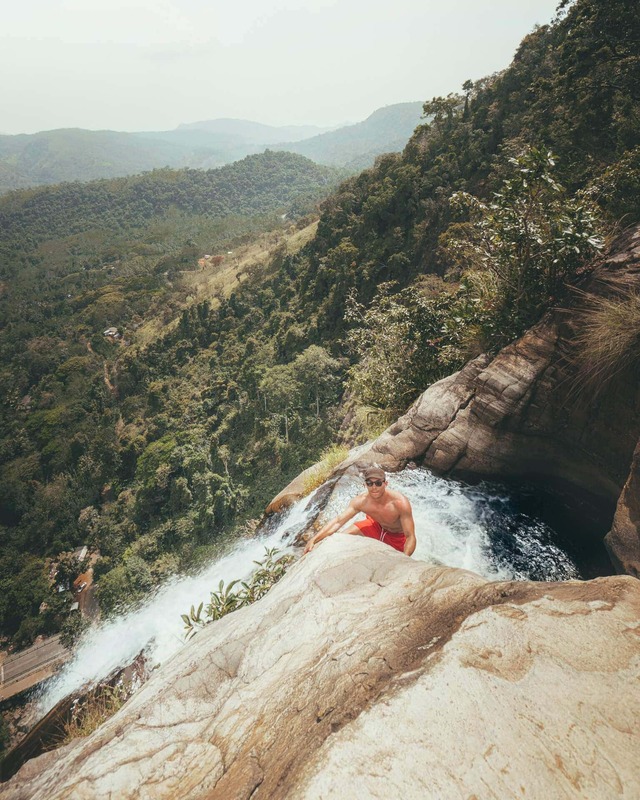 This 220-meter high waterfall is the 2nd highest waterfall of Sri Lanka, has different levels and natural pools on the top. Water coming down with great force on the rocks is amazing to experience on the foot but exploring the top is new and you need to be a fit to reach this. You can visit this in 3 hours or need a full day depending if you want to visit the top. 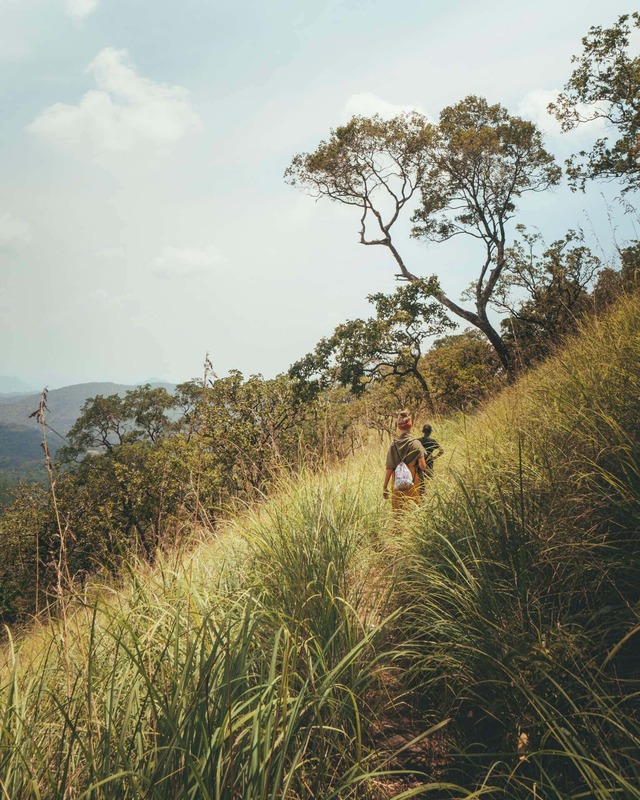 Visiting the waterfall is one of the best things to do in Ella. The foot of the Diyaluma falls is quite easy to reach within an hour by tuk-tuk, car or motorbike. The last 15 minutes of the drive will be uphill and the road isn’t the best from that point. At the foot of the waterfall, pass the bridge and follow the path to the waterfall. Once you have explored the foot, follow the road to Koslanda town. Make a sharp turn right (see map) and follow the road for another 15 minutes. Drive another 15 minutes once you reach a split, turn to the right until here (see map) and let the locals guide you where you should park your vehicle. From the tiny car park place, ask a local to guide you to the waterfall. There are a 2-hour and a 40 minutes hike. The 40-minute walk is beautiful through long grass, there is no real marked path and the views are out of this world. Note: Elephants are active in this area so please don’t go alone. Once you reach the first part of the waterfall, you will face a series of natural pools where you can take a swim, and even jump from one pool into a lower leveled pool. (We still can’t get over that nature created this waterpark). Walk further down and you will face a 220-meter + drop with again, natural pools, even on the edge! It is possible to dip in the one near the edge but be extra careful. 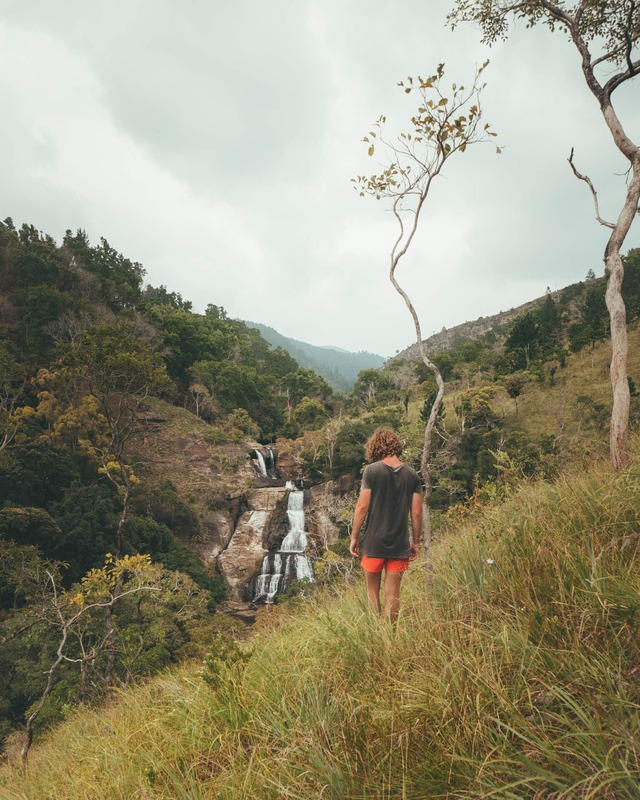 It’s better to just take a look over the edge of one of the highest waterfalls in Sri Lanka and see the bridge where you started. Take enough water and food because you can easily spend the whole day on top of this incredible waterfall. The area offers enough shade areas and friendly young locals are hanging around here as well. 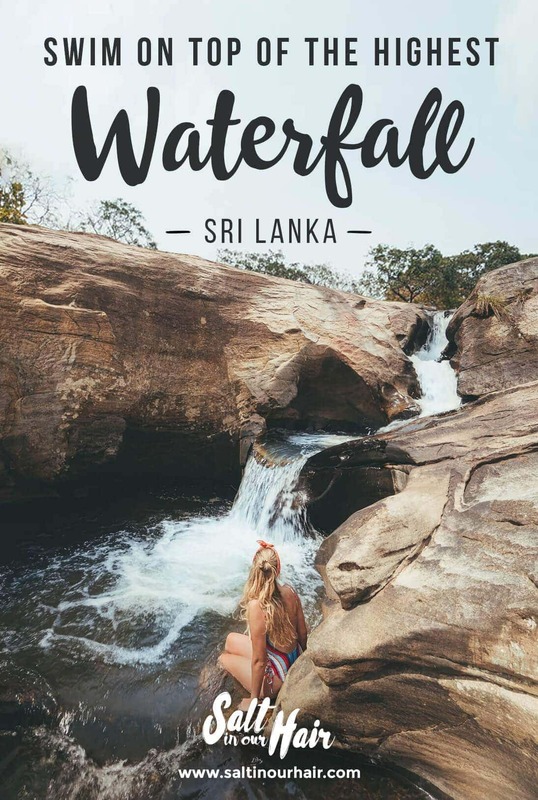 Make sure to add the Diyaluma Falls to your Sri Lanka Route! Tip: Always check the weather forecast a day before. It’s not recommended to go here during the rainy season (Oct, Nov) or on a rainy day.